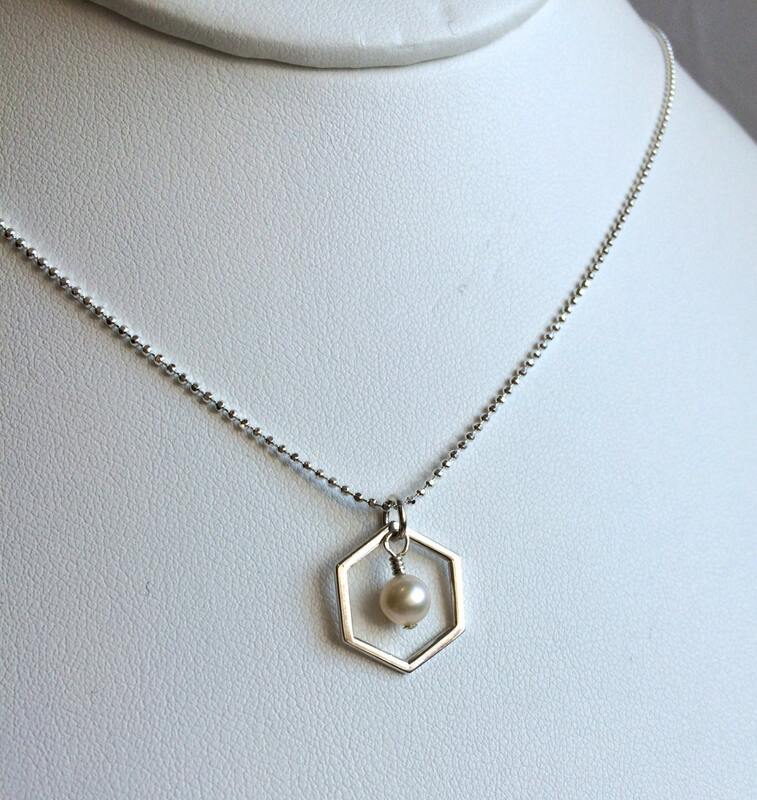 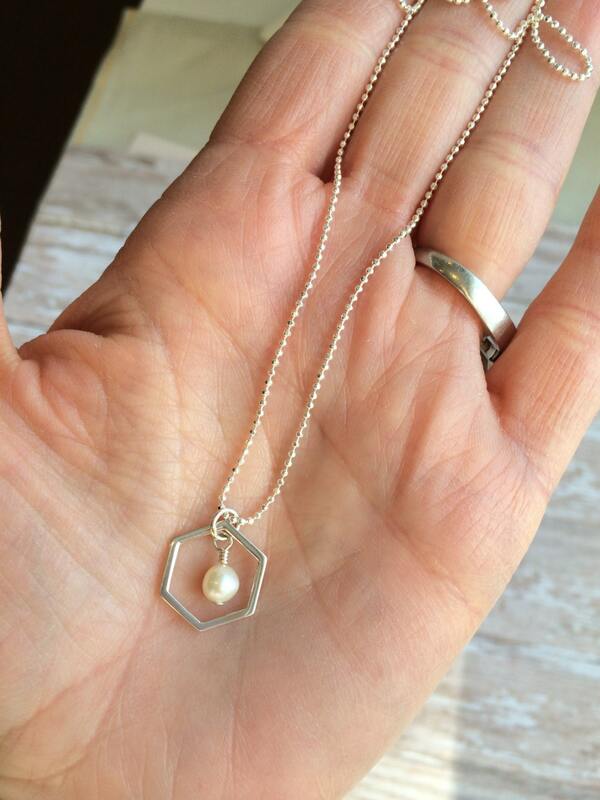 A simple honeycomb pendant is accented with a lustrous round freshwater pearl on this 16" silver necklace. 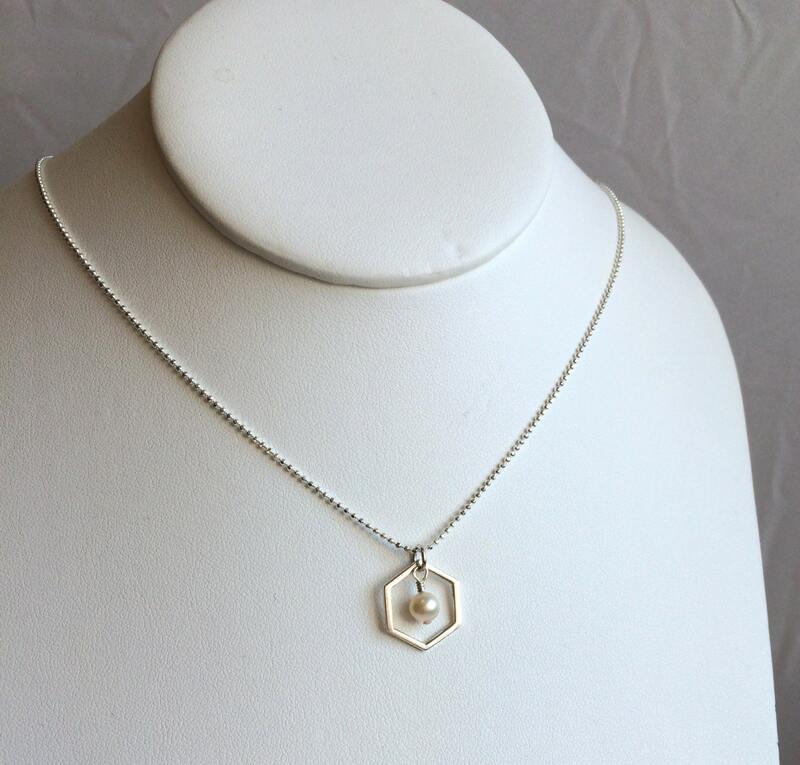 The hexagon is a pattern found in nature that represents hard work and balance. 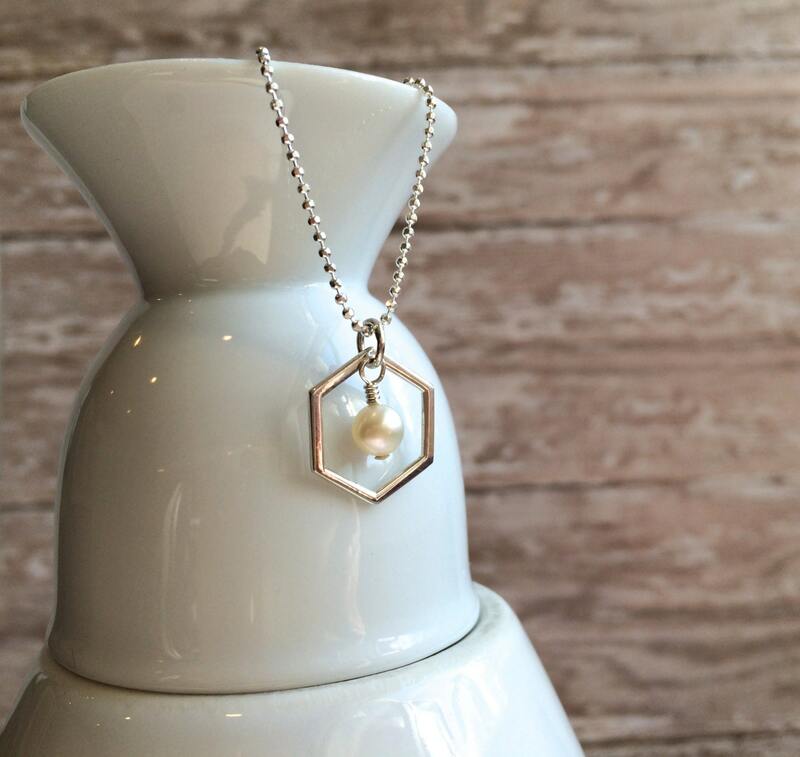 * Sterling silver hexagon charm measures 5/8"
* Alternate gemstones are available rather than the pearl. 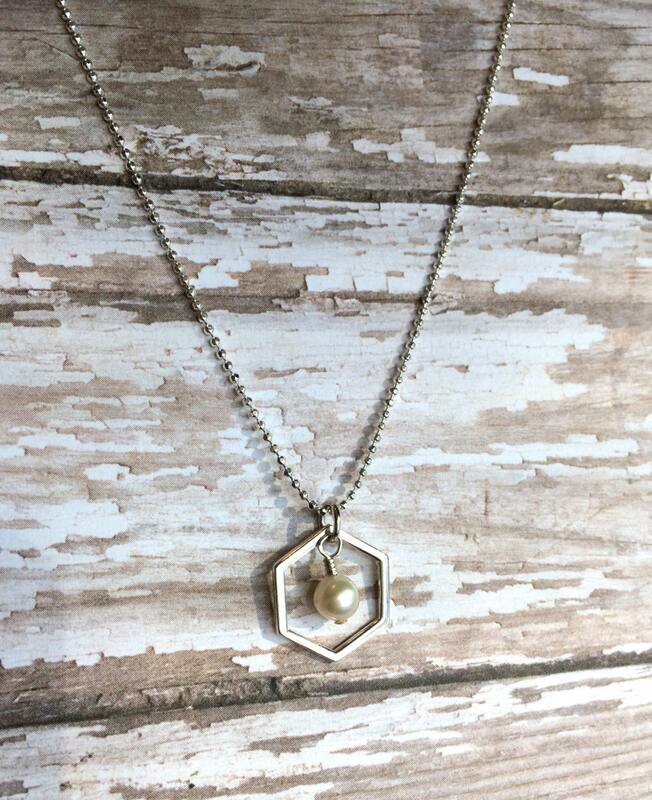 Please convo from details.